Unresolved crises – What Role for International Actors in Syria and Libya? Libya and Syria continue to characterize the arch of crisis stretching across the Middle East. In the North-African country, two different governments and tens of militias are pursuing their own political agendas while hindering any prospect of national reconciliation. In Syria, although the war appears to be approaching its final stages, violence and institutional vacuum remain the norm. To complicate the picture even further, in both countries external players have backed different groups and actors according to their own interests, often exacerbating the struggle while polarizing the international community. Today, in both Libya and Syria, external influences and internal decisions seem therefore irreversibly intertwined. 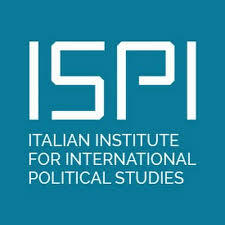 ISPI, together with the Russian International Affairs Council (RIAC), will convene a closed-door meeting in the Russian capital in which international experts from think tanks and universities will discuss the role of international and regional actors in two major unresolved crises of the Middle East: Libya and Syria. Further attention will also be paid to the interplay between international players and local ones, in order to identify future geopolitical trends and evaluate possible policy options available to the parties involved.